1.Go To Preferences From Option. 4.Open Option And Set The Value As Shown Below. 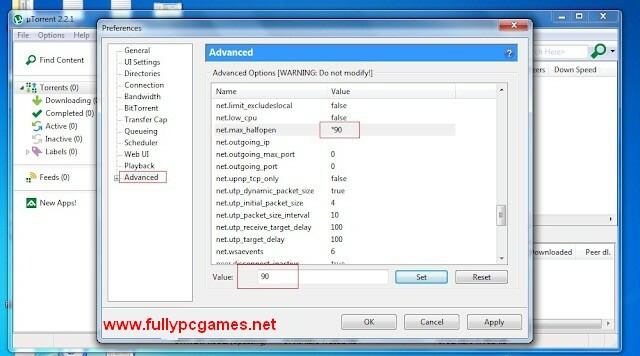 5.Now Click on Advanced option and search for net.max_halfopen and set its value to 90. 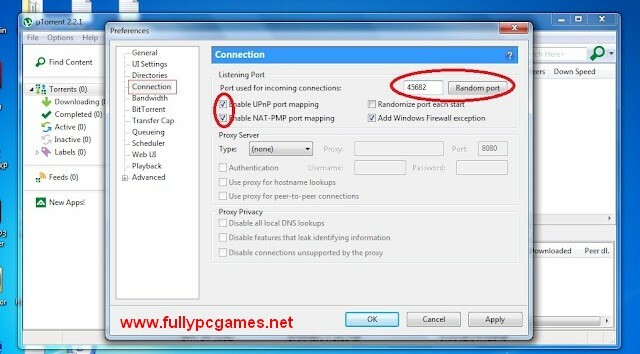 Now Go On main Page of Utorrent , right click on your downloading file and select Bandwidth Allocation then High. Now Enjoy High Speed Of Your Utorrent. what if my max service provider speed I get? I like your web and I am fan of your web kindly you can advise me haw I may download by yUtorrent because yet now I am unable to download any thing by Utorrent. 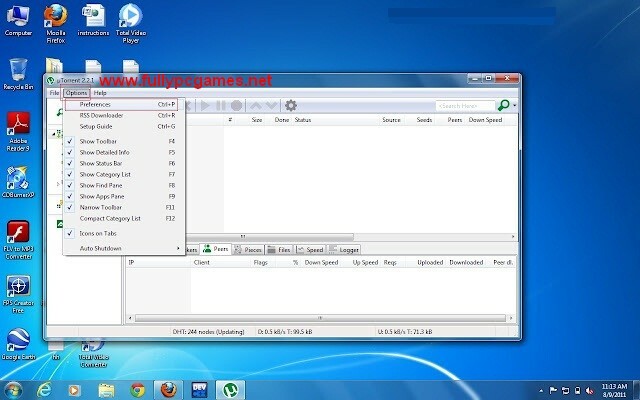 then download torrent game link. open downloaded torrent file press Ok.
Now Your Downloading Will Be Start. MY SPEED HAS INCREASED FROM 50 KBPS TO 400-600 KBPS! thank you it boosted the speed…..only by 3-4 kbps but then also it helped thank you………..